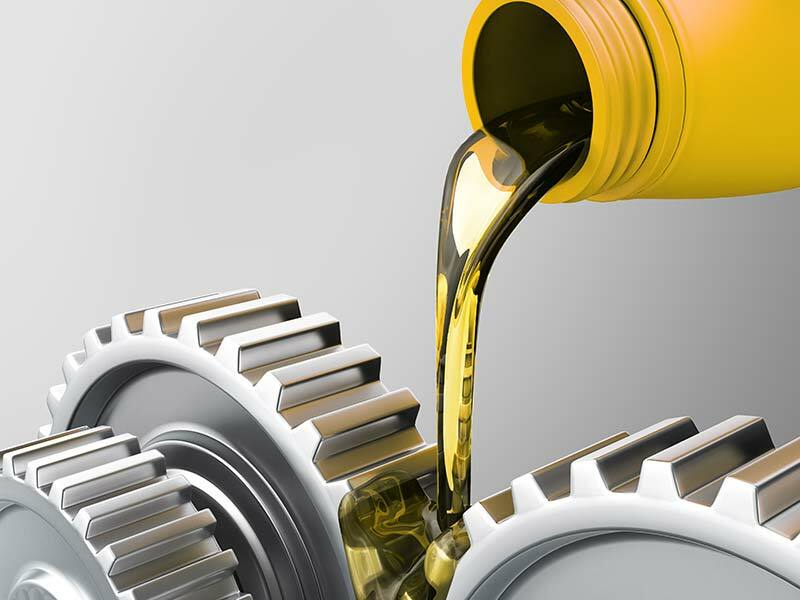 Lubrication Engineers use Synthetic lubricants for applications that require a higher level of performance than can be achieved with Group I or Group II mineral oil. For example, where a mineral oil based compressor oil may give 1000 – 4000 hours performance, a PAO/Ester based oil may give >8000 hours. Moreover, some ester based compressor formulations now give >10,000 hour performance. Industrial and automotive users select lubricants on the basis of price and performance. If a specific application requires a lubricant that performs better than mineral oil then the user will select synthetic oil. However, in applications that would not benefit significantly from the improved performance, users select mineral oil, due to lower cost. The majority of applications are currently served by mineral oil based lubricants. Globally, lubricant blenders produce much larger volumes of mineral oil based lubricant than synthetic. Correspondingly, the market generally characterizes mineral oil based as commodity / semi commodity, and synthetic lubes as specialities. Mineral oil based applications constitute the largest market share. Correspondingly, most lubricant blenders set up their plant equipment primarily for manufacturing mineral oil based lubricants. Consequently, some manufacturers do not have any synthetic lubricant blending facilities at all. WHY DEVELOP A SYNTHETICS OFFERING? End users can generally use mineral oil based lubricants for most applications, and this is the biggest market. Price considerations tend to drive the market for mineral oil based lubricant. By contrast, users of synthetic lubricants generally prioritise performance. Many industrial customers use both types for different applications. Similarly, blenders can add a range of speciality synthetics to their offering to help to offset cyclical trends in the global economy. Often, suppliers who can offer a diversified portfolio of mineral oil and synthetic lubricants can provide a one-stop shop. Furthermore, such suppliers can open up new opportunities outside of their traditional customer base. Brad-Chem manufacture speciality lubricant additive packages. We formulate liquid additive packages that mix easily into synthetic base oils to make synthetic lubricants for a range of applications. We offer packages for use in synthetic esters, natural esters, polyisobutylenes (PIBs),poly alpha-olefins (PAOs), and polyalkylene glycols (PAGs). Brad-Chem also distribute a large range of top quality synthetic base oils to the UK market. We offer Nyco Esters, as well as an extensive range of polyisobutylenes (PIBs) and PAOs. Developing your new range of synthetic lubricants could not be easier; simply mix the additive package and base oil together and stir. Moreover, for some speciality applications we can even do the mixing for you and you can simply rebrand. See our product ranges for details of our lubricant additives and synthetic base oils.